Mitigation of or adaptation to land degradation, desertification and drought requires management for resilience. Once there is an understanding of the many factors or interventions that can help foster resilient dryland and drought risk management, countries, regions and farms can make a case for a zero net land degradation (ZNLD) target. This target embodies sustainable land management (SLM) and the restoration of degraded ecosystems. A major challenge of managing ecosystems is their non-linear nature. Ecosystems that might seem healthy and functional with an unchanged provision of services might change suddenly when critical thresholds for handling internal and external stressors are reached. Moreover, social-ecological systems are often exposed to multiple underlying and proximate stressors that interact in unpredictable ways. Sustainable dryland and drought risk management thus requires management for resilience. Current efforts using a traditional sectoral approach to manage causes and impacts of Desertification, Land Degradation and Drought (DLDD) are often incomplete. These include the manipulation of individual resources (e.g. soil, forest) with insufficient capacity to implement synergetic actions at decentralized level. Specific problem oriented methodologies and guidelines for decision makers are rare. Moreover, at national level, only a few UNCCD Parties have satisfactory legislation to combat desertification, land degradation and mitigate the effects of drought, meaning that substantial reform is essential . Resilience theory may be used to guide such reform. Resilience theory is the focus of a large and growing body of research. This work has sought to understand what the properties are that make a country, community or household resilient and able to withstand and recover from shocks and stresses such as DLDD . * The ability of a system, community or society exposed to hazards to resist, absorb, accommodate to and recover from the effects of a hazard in a timely and efficient manner. * The ability of a social or ecological system to absorb disturbances while retaining the same basic structure and ways of functioning, the capacity for self-organization, and the capacity to adapt to stress and change. * The capacity to tolerate disturbance without collapsing into a qualitatively different state that is controlled by a different set of processes. 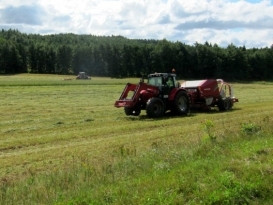 Improving land condition leads to improved rain infiltration, increased water storage in soils, increased water availability, more biomass and greater food security, which in turn reduces pressure on land and the conversion of forest to cropland. 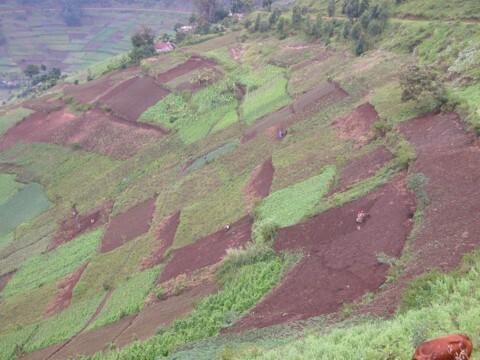 More specifically, with respect to land degradation and drought risk management, the objective of resilience management is to ensure the continuation of dryland functions, reduce the costs of disruption and facilitate a structured return following impact stressors such as climate stress. This is consistent with recent research, which highlights that resilience is a dynamic process that is part of the development process leading to sustainability. The above definitions share four common elements with most other definitions of resilience. These are the system (resilience of what), disturbance (resilience to what), capacity to deal with disturbance, and reaction to disturbance. Together, these elements may form a resilience framework that can be used to determine different kinds and levels of resilience in drylands. A simplified resilience framework is provided in figure 1. Within this framework, system has to do with who or what is under consideration – a social group (e.g. a community), a political system or a particular environmental context. The next stage consists of understanding the disturbances faced by addressing the question resilience to what? These disturbances usually take two forms in the context of drylands. A drought or shock may be characterised as a sudden event that impacts the vulnerability of the system. Land degradation and desertification, on the other hand, refer to longer-term trends or stresses that undermine the potential of a given system and increase the vulnerability of the actors within it. Countries or regions often face multiple interconnected shocks and stresses, such as a severe drought coupled with political instability. Figure 1: Resilience framework adapted. Source DFID 2011. The ability of a system or process to deal with DDLD is based on the level of exposure, sensitivity, and adaptive capacities. The exposure to risk is a measure of the magnitude of the stress or the shock, for instance the length and the frequency of droughts within a certain region. The sensitivity of the system determines the degree to which a system will be affected by or respond to a certain shock or stress. This can vary between the actors of the system. Limited mobility, skill set and social status, have shown to exacerbate sensitivity to shocks. Adaptive capacities refer to the ability of actors to adjust to and learn from shocks or stresses . In line with the sustainable livelihoods approach , sensitivity and adaptive capacities may be determined by the pool of assets and resources that can be mobilized in the face of shocks and stresses. These can be human, physical, natural, financial or social. Each of these five capitals corresponds to a number of characteristics of resilient systems. For example, a strong base of social capital in the form of trust, norms and networks would lead to a high degree of coordination and cooperation in the community. Similarly, human capital in the form of education, health, skills, knowledge and information will lead to, for instance, a high capacity to develop and implement an effective risk reduction strategy . The five capitals approach acknowledges the interconnection of human and ecological systems by stating that both natural capital and social capital, in addition to political, financial and physical capital, have a role in determining the resilience of a system. For instance, several authors have commented that losses are often compensated by social resilience in the early stages of land degradation and desertification or by economic inputs from government. However, when certain thresholds are crossed, social resilience or government subsidies may not be enough to compensate for the loss of productivity. This leads to a number of changes such as fluctuations in prices and trade or population migration, which undermine the capacity of the system to bounce back to the preexisting condition. In northern Cameroon, nomadic livestock systems were relatively well adapted to the fluctuating sub-Sahelian environment of the region until 1979 when the Maga Dam was built to store water for a rice irrigation project. 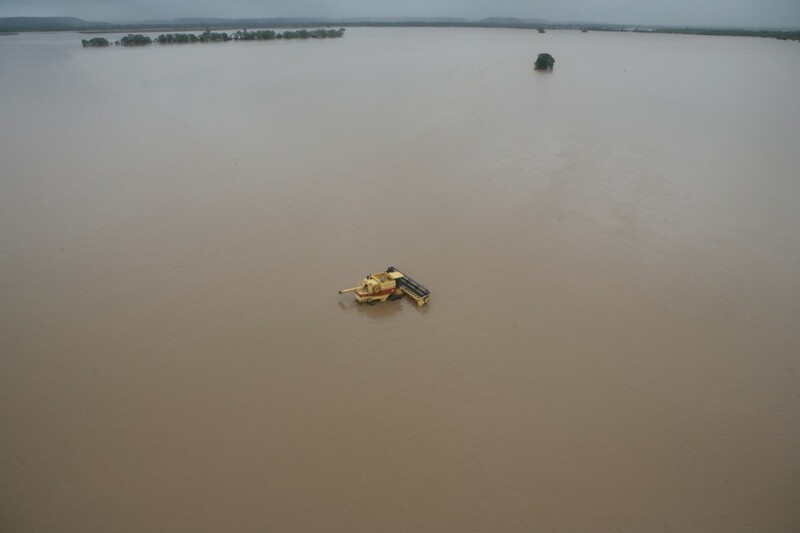 The dam prevented the normal flooding of dry season grazing land for livestock and wildlife and induced large-scale desertification. Pamo argued that wildlife and pastoralists in the region adjusted to the new conditions by diversifying their herds and practicing increased mobility. In the villages of Rissiam and Ranawa in the northern part of the Central Plateau of Burkina Faso, all wells used to dry up as soon as the rainy season stopped. After following the introduction of water harvesting techniques that force rainfall and runoff to infiltrate the soil in these villages in the early 1980s, all water points in these villages have water during the entire year. Despite the fact that the population of Ranawa has more than doubled since 1985, more water is available for crops, people and livestock. Others have commented on the success stories and the remarkable resilience and adaptability of the people who inhabit the African drylands. As contributing factors, researchers noted the positive role of innovators; public support for private investment in soil and water conservation; sound macroeconomic management that does not discriminate against agricultural and natural resources; robust local capacity-building by non-governmental organizations and other cooperative type projects; and consistent efforts by concerned governments to increase awareness of environmental problems and possible solutions. 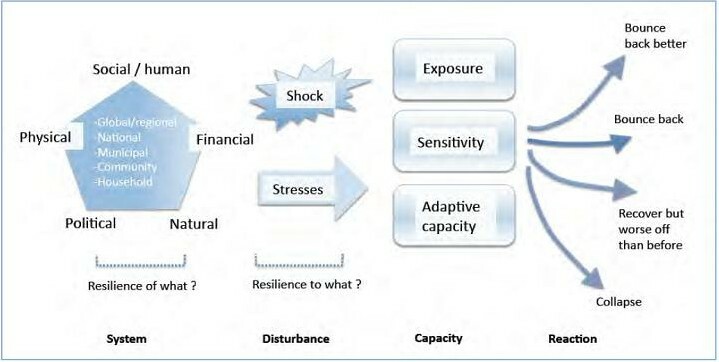 The examples show that depending on the system, disturbances and adaptive capacities, the reaction to shocks or stresses may take different shapes. As illustrated in the resilience framework, in rather rudimentary terms, the reaction to the shock or stresses might be bounce back better, bounce back to a normal pre-existing condition, or recover but worse than before . So far, few attempts have been made to value policies and practices aiming at strengthening resilience of dryland communities. For example, Maler & Chuan-Zhong (2010) note that while many recent papers dealing with the valuation of ecosystem services include some thoughts about resilience, resilience has generally not been considered as having genuine economic value. 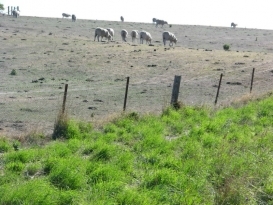 * Undertaking actions to stop and reverse degradation or at least to mitigate the adverse effects of earlier misuse especially where the consequences of upland degradation are being felt in far more densely populated areas downstream. This also reflects the importance of sustainable forest management (SFM) in upland areas. UNCCD decision 4/COP.8 calls for the reinforcement of SFM as a means of preventing soil erosion and flooding, thus increasing the size of atmospheric carbon sinks and conserving ecosystems and biodiversity. Sustainable dryland and drought risk management requires management for resilience; this southern Africa farming landscape is at risk of major soil degradation from drought or heavy rain. The most widely agreed definition for SFM states that it is: a dynamic and evolving concept that aims to maintain and enhance the economic, social and environmental value of all types of forests, for the benefit of present and future generations. While SLM and SFM are essential components of any effort to halt land degradation, there is increasing recognition that conservation and sustainable use are no longer sufficient to stem the loss of ecosystem services and achieve zero net land degradation (ZNLD). The second pillar of ZNLD therefore calls for alleviating the decline in land productivity by restoring land that is already degraded. It is estimated that there are more than 2 billion hectares of degraded lands with potential for forest and mosaic restoration worldwide . There is no single miracle solution to avoid the problems of land degradation and accomplish the above-mentioned actions . 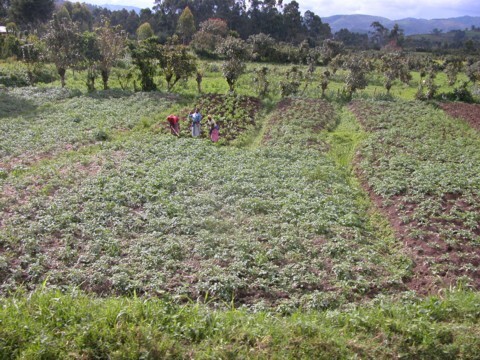 This is highlighted in the resilience framework, according to which actions to halt land degradation are aimed at strengthening the natural, financial, political, human or physical capital base of the system. * Engagement with the private sector. The objective of resilience management for sustainable dryland and drought risk management is to ensure the continuation of dryland functions and services, reduce the costs of disruption, ensure a structured return after a shock or adaptation in response to long-term impact stressors such as climate stress. Resilience-building requires investment in enabling policy environments and human resource development. The virtuous cycle for improvement begins by either avoiding land degradation or offsetting it through land restoration. Improving land condition leads to improved rain infiltration, increased water storage in soils, increased water availability, more biomass and greater food security, which in turn reduces pressure on land and the conversion of forest to cropland . 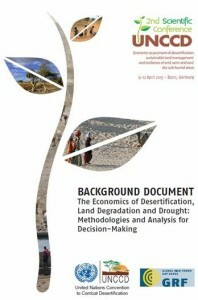 United Nations Convention to Combat Desertification, The Economics of Desertification, Land Degradation and Drought: Methodologies and Analysis for Decision-Making. Background document. UNCCD 2nd Scientific Conference. Available from http://2sc.unccd.int .